It was cool to see the Las Vegas Cyclery bike shop, which I had written about for the Review-Journal regarding its ultra-green, net-zero building, appear on the Department of Energy Web site for its energy-efficient design. Thank you Jennifer Turchin, a LasVegas bicyclist and LEED consultant, for sending me this link. Going at a slower speed allowed me to appreciate the dramatic landscape. Here's the photos. Montgomery — The seventh-graders work on their own time — before school or during lunch — to install brake pads, clean frames and fix flats on the old bicycles stored in the tech room. And when the bikes are ready to roll and be given to needy children in the Town of Montgomery, the tech class pupils at Valley Central Junior High have gained something more than just learning how to fix things. "I felt good about helping others," said 12-year-old Zackery Mathieu. Mike Presutti's tech class has become an unofficial bike shop, a first-floor classroom that has cranked out 27 revitalized bikes this year alone thanks to the work of his pupils and the donations from several local stores. It's the project's second year. The school guidance counselors match up kids with bikes. "We started real small with an old Schwinn with a banana seat," said tech teacher John Van Fradenburgh, who works with Presutti at the school off Route 17K outside the Village of Montgomery. "When you deliver the bikes it's like playing Santa Claus. The parents who get them are in tears." Wal-Mart in Newburgh and Vails Gate Cycle shop in New Windsor donated damaged bikes and boxes of cables, pedals, seats, pads, handle grips, water bottles and reflectors. Fixing the bikes is great for teaching kids problem-solving skills, Presutti said. First, pupils check out a bike and compile a list of things to do, such as replacing bent wheel rims and installing new brake cables. They also learn about metric and standard tools such as Allen wrenches. "It's fun to work with your friends," said 12-year-old Melissa Sokolinski. The project has inspired a Pine Bush High School student to start a similar program at his school, Presutti said. "I wish we had the before and after photos of the stuff that comes in here," Presutti said. "The kids really love to work on them." (NEW YORK – Jan. 22, 2013) Bike New York announced that national outdoor retailer REI is the presenting sponsor of the 2013 TD Five Boro Bike Tour, America’s largest cycling event. Held annually on the first Sunday in May, the TD Five Boro Bike Tour presented by REI offers 32,000 cyclists a chance to ride 40 miles of traffic-free streets through all five boroughs, introducing riders to a unique perspective of the sights and sounds of New York City. In addition to their presenting sponsorship of the TD Five Boro Bike Tour, REI will have a significant presence at Bike Expo New York 2013 (BE NY). Free and open to the public, Bike Expo New York is an annual celebration of the growth of bicycling in New York City and beyond. BE NY 2012 set a record as the most attended inaugural bike expo in the country with more than 43,000 attendees. This year’s expo will take place the two days prior to the TD Five Boro Bike Tour presented by REI – Friday, May 3 and Saturday, May 4, 2013. Similar to the Tour, proceeds from the BE NY help fund Bike New York’s expanding educational programs. REI serves outdoor enthusiasts through five stores in the greater Tri-State Area, anchored by its REI SoHo location in the historic Puck Building. In addition to selling the top brands of gear and apparel, the company also offers local REI Outdoor School classes and worldwide REI Adventures trips. Bike New York is a 501(c)(3) non-profit that promotes and encourages bicycling through education, public events, and collaboration with community and government partnerships. To learn more, visit www.bikenewyork.org or follow Bike New York on Facebook (www.facebook.com/BikeNewYork) or Twitter (www.twitter.com/BikeNewYork). It offers lots of Las Vegas area bicycle info and bicyclist and Webmaster Lisa Caterbone is the woman behind bikinglasvegas.com. The River Mountains Trail outside Las Vegas is on the opposite end of the Vegas Valley from my local Summerlin/Red Rock Canyon environs, and a marvelous continuous paved trail loop that's feels like a pure foothills roller-coaster ride. I started in Boulder City near Bootleg Canyon -- home of Interbike's famed Outdoor Demo -- and I felt at home because I looked at the ride as one among many in my new environs instead of one that I associated with the Interbike event. The RMT is no secret. Hardly. In fact, last year the New York Times wrote a story about this amazing 35-mile loop outside Vegas. From Boulder City I followed the undulating trail to the suburban city of Henderson (Nevada's second most-populated city), then the trail curled to Lake Las Vegas. The trail turns into a real roller-coaster as it heads to the Lake Mead rec area before heading uphill back to Boulder City and Bootleg Canyon. For more info on this trail, click here. It's time for a photo gallery from my ride today. After finishing the Red Rock Canyon scenic loop, I cycled out of the scenic canyon area back into Summerlin and was pedaling east on Charleston Blvd. when a young dude on a red Schwinn World bike with a dangling front bag on the handlebars and downtube shifters caught up with me. We met a red light and chatted. David Low was biking home from his Red Rock Canyon interpretive naturalist job and he's happy to be there. He moved from Elko in northeast Nevada where the low was 30 below zero last weekend. 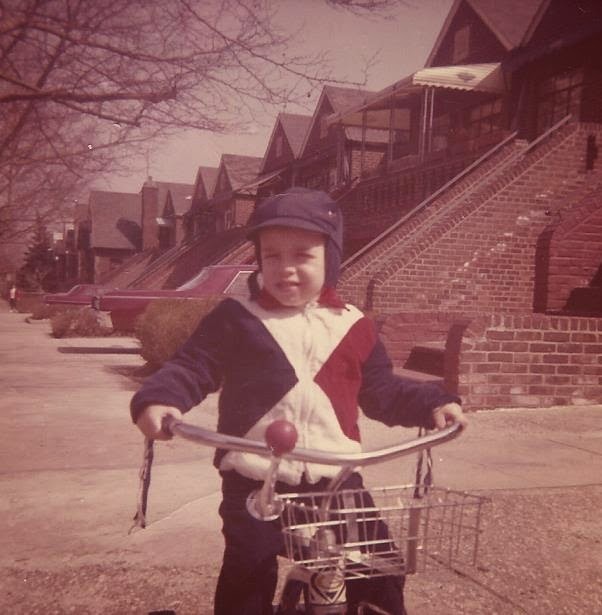 David bought the Schwinn for $200 and uses it as his commuting bike. Today was a wonderful crisp, clear day in Vegas. Temps in the 60s. A blue sky without a tarnish. And it was time to bike. I haven't been on the Red Rock Canyon scenic loop in more than three weeks because of a nasty cold and very cold weather. But that was about to change today. Check out the blue colors in the sky of today's photos. When I watched Lance Armstrong's TV event "confession" with Oprah Winfrey the last two nights, it's easy to write off Armstrong as a control freak who justified using illegal drugs because everyone else was using them. But what complicates the Armstrong issue is that after he whipped cancer, he was also serving as a source of inspiration and hope for people with cancer during his seven Tour de France wins while he was doping and steamrolling anyone who told the truth about his drug use. As he won Tour de France after Tour de France, his popularity grew -- and more and more people bought those plastic yellow bracelets and also bought into the Armstrong source-of-inspiration story line. And even my life was profoundly shaped by Armstrong through the oddest of circumstances that involved shifting from newspapers to bicycle advocacy in Tampa. Because Armstrong was winning Tour after Tour after Tour, road bicycling grew in popularity in this country. 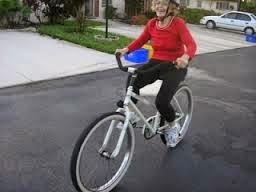 And as a result, road bicycle sales increased in 2004 and 2005 in the Tampa Bay area. 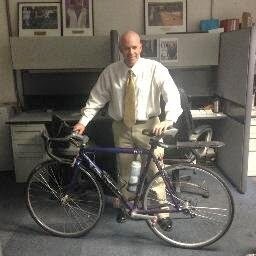 At the same time, I was a business reporter for the Tampa Tribune covering business news that had a sports focus and decided to report a story on the increased sales of road bicycles in Tampa Bay. Among the stores I visited for interviews was the Carrollwood Bicycle Emporium, owned at the time by David Luppino. I got to know David through writing the story. 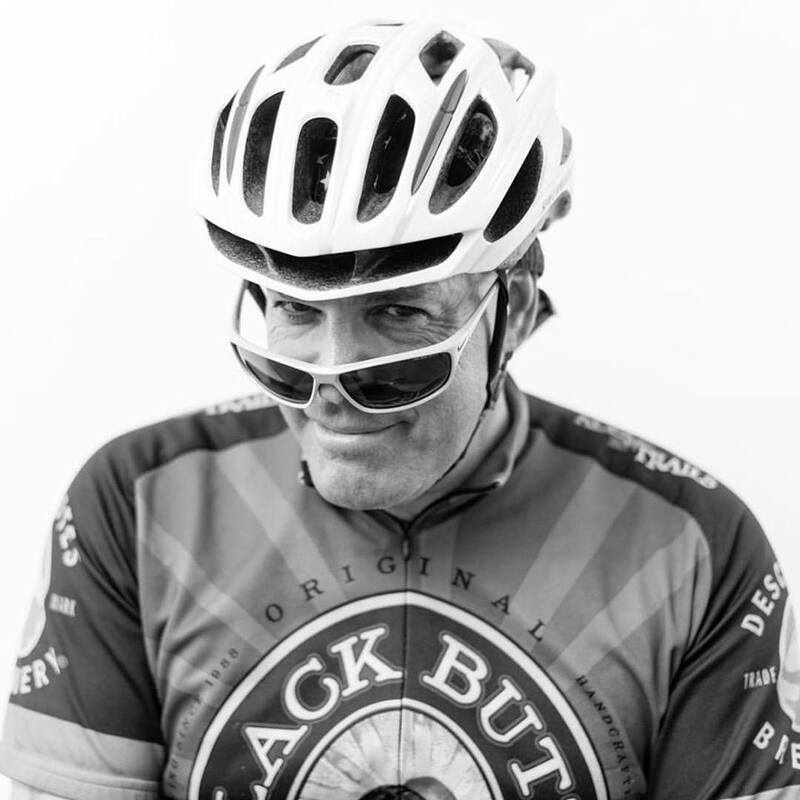 In 2006, David and I discussed the idea of me doing marketing and PR for his bike shop. So, I left the newspaper world and entered the bicycle arena as David hired me for the last five months of 2006 to do bike PR for him and work with him on putting on the first Bicycle Bash in October 2006 in Tampa. When those five months ended, I recruited other bike shops in the Tampa Bay in early 2007 to create a group of retail bicycle stores to grow bicycling in the area. I would advocate for bicycling on behalf of these bike shops and put on the annual Bicycle Bash event as part of my charge for the next six years. So, I look back and I'm amazed at the sequence of events. SWFBUD got created because Lance Armstrong's Tour wins prompted a spike in bike sales, which prompted me to do a business story, which got me in touch with David Luppino and Carrollwood Bicycle Emporium, which led me to get other bike shops to join in, which eventually culminated with creating SWFBUD, which kept me going on the bicycle advocacy front in the Tampa Bay area for some six years. Strange how life works and how complicated life can be. We all began trusting sports heroes. And Joe Paterno enabled a coach to sexually abuse kids. And Barry Bonds became the Michellin Man. We allowed these people to define sports for us. But the essence of sports is taking a bike ride with a pal or playing touch football with friends or playing catch with your dad. For me, that will always be sports. The Las Vegas Cyclery believes it's the only "net zero" bike shop in the country; that is, the 10,000-square-foot bike shop that cost $3 million to build is the sole bike store in the U.S. that produces more energy than it takes in from the local power company. I did a profile of this ultra-green building several weeks ago. Here's the Review-Journal story. On Wednesday, there was a nice open house for folks to get together and check out this amazing, innovative bike shop building. Here's Jared Fisher, the store's owner from Blue Diamond, chatting with a Metro Las Vegas police officer. Jared also built this table from old bike parts, including an old mountain bike tire. The store has two levels, with the top level offering space for community groups to meet. 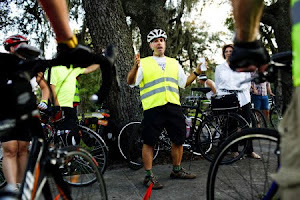 People always asked me, "What can I do to help the cause of bicycling in Tampa Bay? And my answer was simple, write letter and emails to your local elected officials and call them, too, and tell then bicycling is important to the quality of life and economics in Tampa Bay and that they need to fund more bike infrastructure so that more people want to ride their bicycles. Mariella Smith in Hillsborough County showed you how it's done. I'll let Mariella's email explain it since she did a much better job of explaining it than I could ever do. We need to tell our County Commissioners (repeatedly) that safe bicycle lanes & trails are important to MANY of us, if we want them to actually build the network of safe cycling infrastructure that is in our plans. We need to tell them we appreciate it when they do agree to build bike lanes & trails. Today we can make that point by thanking our Commissioners for their recent action that will add bike lanes to 19th Ave. in Ruskin, from 30th St. (near I-75), west to E.G. Simmons Park on Tampa Bay. This is another step forward in building an important east-west biking corridor: the Shell Point cycling loop, stretching from Hwy 301 west to Tampa Bay. (19th Ave. already has had some improvements added to the east end.) It's an integral part of a bicycling network connecting south county with bike lanes and Greenway trails that are planned to provide safe cycling routes throughout the county. The 19th Ave. bike lanes approved last Wednesday will be funded with impact fees paid by development. Commissioners also approved adding bike lanes to Big Bend Rd., from Hwy 41 west to TECO's Manatee Viewing Center on Tampa Bay. Thank you for your vote at the Jan. 9 board meeting to fund new bike lanes on south county roads (19th Ave & Big Bend Rd). The addition of bike lanes to the west end of 19th Ave. is another step forward in building an important east-west biking corridor: the Shell Point cycling loop, stretching from Hwy 301 west to Tampa Bay, on 19th Ave & Shell Point Rd. This cycling network has long been part of county plans to connect schools (including HCC), libraries, parks, bus stops, and other shops & services with south county neighborhoods; and to eventually connect all that with the South Coast Greenway trail which will run north-south, from the Little Manatee River north to Tampa, where it will hook up with 2 other major bike trails, as part of the planned Bicycle Area Mobility (BAM) network. I hope to see the South Coast Greenway trail built soon, and the Shell Point cycling loop connections completed quickly. You have made a good step toward those goals and I appreciate your support of safe cycling for recreation and transportation. The weather has been especially cold in Las Vegas for several weeks. But yesterday and today the temps warmed into the 60s and it was bike-commuting time. This morning I left my Summerlin home for a 12.3-mile ride to my job at the Review-Journal. Most of the ride is on Alta Drive (above). I saw this fella Shane, who was working on a curb cut project for wheel chairs. With four miles to go to the Review-Journal newspaper building, I zip down this nice hill. And with three miles to go it was a stop at Pop's philly cheesesteak stand. 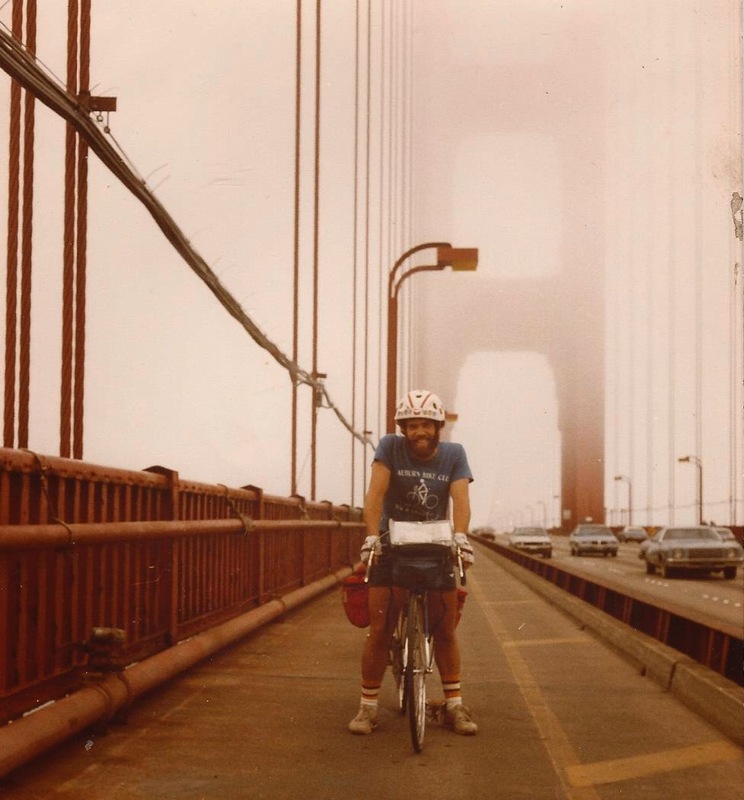 Bicycle Stories starts 2013 in a whole new state and home from one year ago. May this new year bring you much joy, happiness, and most importantly, great health.